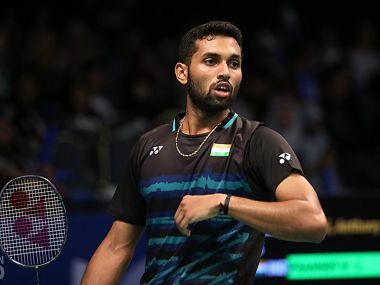 As he stood talking to the media at the Jakarta Convention Center, exultant at beating a veritable legend like Lee Chong Wei, the freshly installed World No 25 Haseena Sunil Kumar Prannoy stood out as vividly as the performance he had just put in to beat the Malaysian shuttler. Prannoy became the only second Indian shuttler (Sai Praneeth having beaten him at All England Championships) to send World No 3 Lee packing after Prannoy played the game of his life to earn a spot in the quarter-final of the 2017 Indonesia Super Series Premier on Thursday. "Lee looked ordinary today and I took my chances. I am very happy to have won,” Prannoy told PTI. It takes a lot of patience and a steady mind to beat Mr Consistent, however, it was Prannoy's aggressive approach that handed Lee his first loss of 2017. The 24-year-old shuttler from Kerala had just played his second match in about three months after an early exit in the India Open in March. Prannoy decided to skip the Singapore and Malaysia Super Series events so that he could work on his game and be in shape for the upcoming tournaments. Continuing his magical run in the 2017 Indonesia Super Series Premier, Prannoy entered the semi-final by beating the reigning Olympic champion and two-time World champion Chen Long 21-18, 16-21, 21-19. 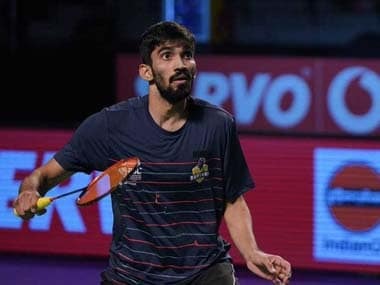 Prannoy may not be as well known as his partners — Kidambi Srikanth and Parupalli Kashyap — at the Pullela Gopichand Academy but he certainly has a knack of proving the doubters wrong despite his injury-prone journey. Two years ago, Prannoy had stunned the then World No 1 Lin Dan in the very first round of the 2015 French Open which earned him a career-best ranking of 12 in the Badminton World Federation (BWF) rankings. The Indian No 4 first broke into prominence by winning the silver medal in boys' singles at 2010 Summer Youth Olympics and followed it up with one more silver at the Bahrain International Challenge before going on a dry spell for the better part of the next three years. Prannoy hogged the limelight in the latter part of 2013 and continued the good form in the following year with his international exploits. 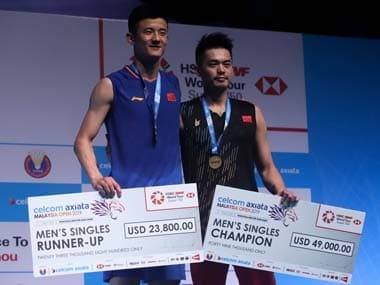 In 2014, his watershed year, he won the Indonesia Grand Prix Gold, reached the semi-finals of three other Grand Prix Gold events and just missed out on winning the Vietnam Open Grand Prix, where he lost to the tournament favourite Dionysius Hayom Rumbaka in the final. With a rather subdued 2015 and a 2016 that started off with his winning the 2016 Swiss Open Grand Prix Gold, Prannoy saw a lot of his friends and sparring partners gain a stronger foothold in the international level, while he struggled with his fitness. If he could address his fitness concerns and improve his consistency, it would be safe to say that Prannoy has finally arrived.